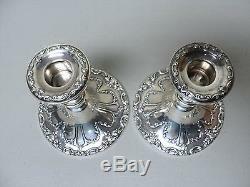 This listing is for a gorgeous pair of vintage Sterling Silver candlesticks made by the Gorham Silver Company in the desirable "Chantilly Duchess" pattern. 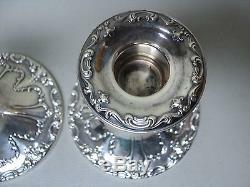 Beautiful embossed scroll designs in high relief surround the top and bottom edge of candlesticks. 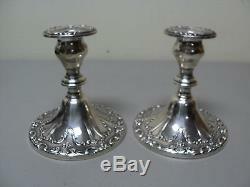 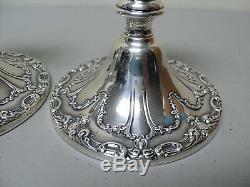 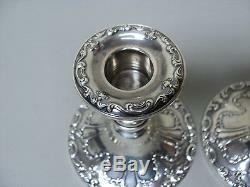 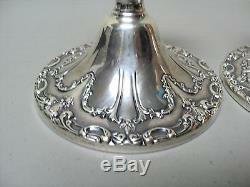 Both candlesticks are in excellent condition with no dents, dings or repairs. 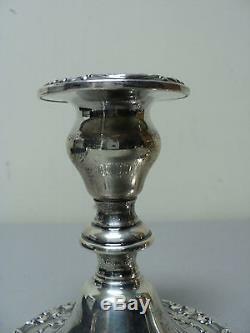 Measure 4 1/2" high with a top diameter of 2" with the bases being 4 3/8 in diameter. 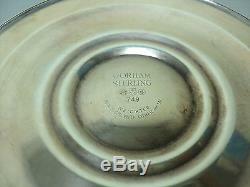 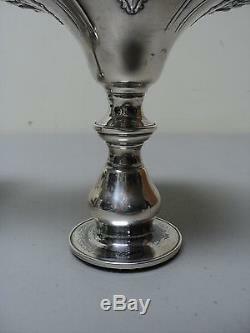 Marked on the base "Gorham Sterling, Weighted Reinforced With Other Metals" and numbered "749". 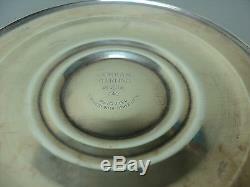 Combined weight is 1.8 pounds. 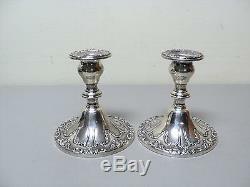 The item "STUNNING VINTAGE PAIR GORHAM STERLING SILVER CHANTILLY DUCHESS CANDLESTICKS" is in sale since Wednesday, October 1, 2014.